Why choose Cisco Nexus 9000 Series Switches? How to build a next-generation automated data center with Nexus 9000 Series? All the experts will tell you the Cisco Nexus 9000 Series Switches, ideal for traditional or fully automated data center deployments. All Nexus 9K switches can operate in standalone mode. Many also support ACI. Cisco Cloud Scale ASIC is available across both modes. 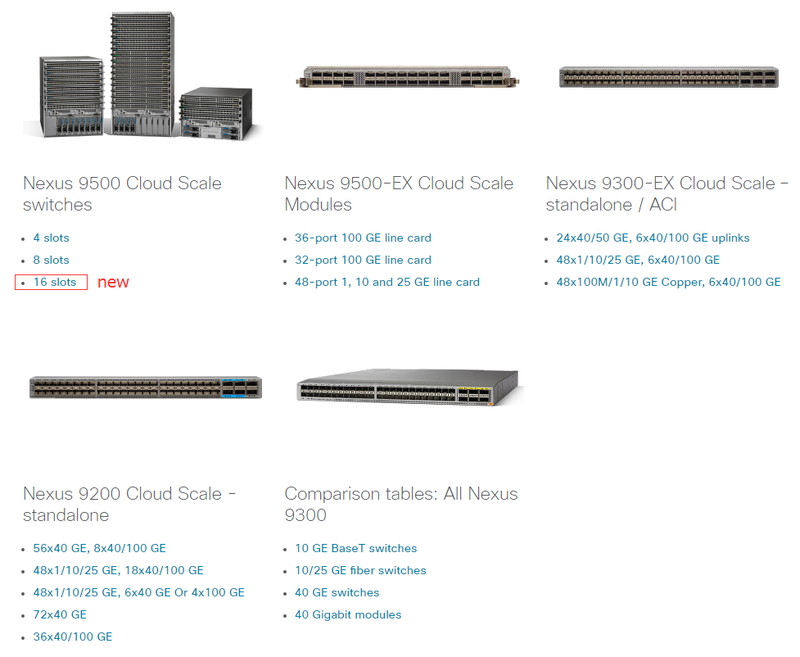 Why choose Cisco Nexus 9000 Series Switches? Cisco Nexus 9000 Series Switches offer an exceptional portfolio of networking solutions and integrated, converged, and hyper converged platforms to help customer meet these challenges. The capabilities of the next-generation Cisco Nexus 9000 Series with Cisco Cloud Scale technology provide a multiyear advantage and sustained differentiation between Cisco and point-product network providers and providers of proprietary, single-vendor public clouds. A key component of Cisco ASAP Data Center (Analyze, Simplify, Automate, and Protect), the Cisco Nexus 9000 Series delivers a foundation that analyzes, simplifies, automates, and protects your entire modern data center like no other solution available. 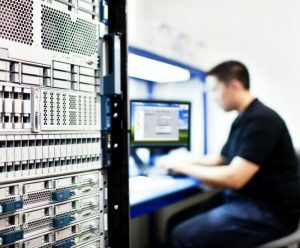 Here are the top five reasons that the Cisco Nexus 9000 Series is the right choice as the foundation for today’s hybrid enterprise data centers. As challenges become more diverse, Cisco offers customers a choice of custom application-specific integrated circuit (ASIC) and merchant silicon options in both modular and fixed form factors with flexible 1, 10, 25, 40, 50, and 100 Gigabit Ethernet port configurations. This flexibility offers investment protection and helps customers optimize their price-to-performance targets in their networking solutions for specific use cases and environments. However, to address rapidly changing and increasingly complex hybrid data centers, customers should choose the Cisco Cloud Scale ASIC that powers the Cisco Nexus 9000 Series. This ASIC gives customers at least a two-year advantage in the functions they get compared to off-the-shelf silicon products, providing greater scalability, deeper analytics and visibility, and greater performance. Cloud Scale ASICs offer significantly greater scale and more features at an optimized price with capabilities that include segment routing, group-based security policy, network service headers, and fullfeatured Virtual Extensible LAN (VXLAN) overlays. Cisco Cloud Scale smart buffers offer innovations to manage buffers and queue scheduling intelligently by identifying large and small flows and handling them differently. – Dynamic Packet Prioritization (DPP): DPP prioritizes small flows over large flows, helping ensure that small flows are not affected excessive queuing to accommodate large flows. 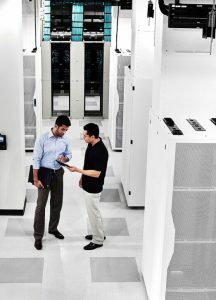 The Cisco Nexus 9000 Series brings the power of label switching to data center routing. The Border Gateway Protocol (BGP) Ethernet Virtual Private Network (EVPN) control plane is used for VXLAN. The Cisco Nexus 9000 Series supports VXLAN operations, administration and management (OAM) for ease of troubleshooting and diagnostics. The Cisco Nexus 9000 Series provides a lightweight model for faster upgrades, thus reducing control-plane downtime to less than 3 seconds and eliminating data-plane downtime. FCoE reduces operating expenses (OpEx) and capital expenditures (CapEx) by converging the LAN and SAN environments. Cisco thus offers optimal cloud services and cloud economics through its Cloud Scale technology. Open Cisco NX-OS Software is the industry’s most extensible, open, and programmable network operating system. It enables customers to programmatically provision and configure Cisco Nexus 9000 Series Switches through well-documented, comprehensive APIs offered by both Cisco and third parties. Customers can provision their switches using familiar tool integrations (such as Puppet, Chef, and Ansible) and have access to a robust API and community support. This innovation is essential for application developers, DevOps professionals, and other users who prefer self-service infrastructure models to complete their projects, such as application onboarding, more quickly and efficiently. Using NX-OS, IT staff can meet these requirements by provisioning the network more quickly, reducing the time to recovery after a failure, and gaining flexibility in an environment that is familiar to server administrators. IT organizations are expected to operate at the speed of business and deliver services with the agility of the public cloud. In this environment, capabilities such as rapid configuration on a consistent basis are not just desirable—they’re essential. But speed needs to be coupled with accuracy. Many security problems are the result of user errors or misconfigurations, and they put your company at risk. Cisco Application Centric Infrastructure (Cisco ACI) is the industry’s number one Software Defined Networking (SDN) solution, delivering the most comprehensive automation capability. It enhances business agility, reduces total cost of ownership (TCO), automates IT tasks, and accelerates application deployment. Customers can accelerate their application deployment cycles from weeks to minutes using centralized, policy-defined automation management. Customers gain the benefits of a seamless networking infrastructure running both modern and traditional applications that may be distributed across multiple public and private clouds as well on-premises data centers. Cisco ACI enables tighter security and more comprehensive analytics using whitelist modeling, policy enforcement, and microsegmentation. Customers benefit from a centralized applicationlevel integrated visibility and real-time application health monitoring across physical and virtual environments. Cisco ACI supports a strong and growing ecosystem of more than 65 partners and supports integration using open APIs. The Cisco Nexus 9000 Series with the Cloud Scale ASIC come configured with support for the Cisco Tetration Analytics and Cisco Nexus Data Broker solutions, providing customers with real-time visibility into application performance as well as enhanced security. IT can better understand the current system, helping prepare IT for whatever the future may bring. Leveraging unsupervised machine learning and behavioral analytics, Tetration delivers consistent, automated policy enforcement, enabling application segmentation across virtualized and bare-metal servers on-premise, private and public clouds. Through a single pane of glass, policy is automated and enforced based on context and roles. Using software and hardware sensors, Tetration provides a deep understanding of application dependencies and interactions, increasing reliability and simplifying zero-trust operations. Cisco Nexus Data Broker is a simple, scalable, cost-effective solution for monitoring high-volume and business-critical traffic even in constantly changing data center and cloud environments. It supports port capacities from 1 to 100 Gbps within network test access point (TAP) and Cisco Switched Port Analyzer (SPAN) infrastructure. Additionally, it provides line-rate traffic filtering, replication, and forwarding functions, enabling proactive, inline tools to create a strong, layered security environment even before threats enter or exit the data center. The Cisco Nexus 9000 Series offers tools such as Cisco Data Center Network Manager (DCNM) that enable customers to deploy switches efficiently and optimize the fabric through automatable capabilities. It automatically provisions Cisco Nexus switches and configures switch fabric virtual machine management (VMM) tools for the network manager. It also unifies LAN and SAN management software into a single platform, allowing both storage and network teams to manage their respective domains through a single system while being aware of the each other’s activities. The Cisco Nexus 9000 Series also uses the Cisco Nexus Fabric Manager to simplify the process of building and managing a Cisco Nexus fabric with a point-andclick web interface. After Cisco Nexus 9000 Series Switches are cabled in a leaf-and-spine topology, the fabric manager builds and self-manages a VXLAN-based fabric, dynamically configuring switches based on their roles and user-based actions. The Cisco Nexus 9000 Series is a foundational component of the Cisco ASAP Data Center and is well-suited for both traditional and fully automated software-defined data center deployments. The Cisco Nexus 9000 Series provides multiyear, sustained differentiation between Cisco and point-product network providers and providers of proprietary, single-vendor public clouds, supporting greater performance and enhanced operations through features including intelligent services, programmability, automation, analytics, and manageability. 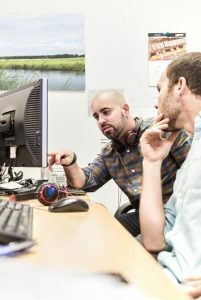 These advantages help Cisco customers simplify their IT infrastructure and optimize it for the many diverse on-premises and cloud-native applications they are deploying today.